I hope you are all keeping well in your part of the world. It is most definitely Autumn here now and we are starting to feel the chill at night. It is still my favourite time of the year though. Today I have an Easter card to share with you. I definitely had Easter eggs and chocolate on my mind while I was making this. This card uses Gathered Together and Birdies from Rubber Dance. I talk a little more about how this is made over on the Rubber Dance blog, with a close-up of the Easter eggs. 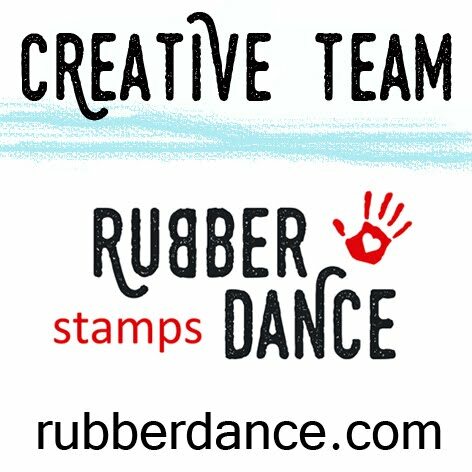 I really love how the Rubber Dance stamps mix-and-match so easily. Through in a little Distress Oxides and some Distress Crayons and you have a wonderful way to play with rubber stamps.